Although he began his professional career as an illustrator and designer, Ron Fleming's childhood experiences of working with wood alongside his grandfather and father encouraged his return to the medium as an adult. Describing the profound way in which wood affected his creativity, Fleming states, "I felt like I had finally found a media that I could work in and let my creative juices flow. No parameters--just my imagination." 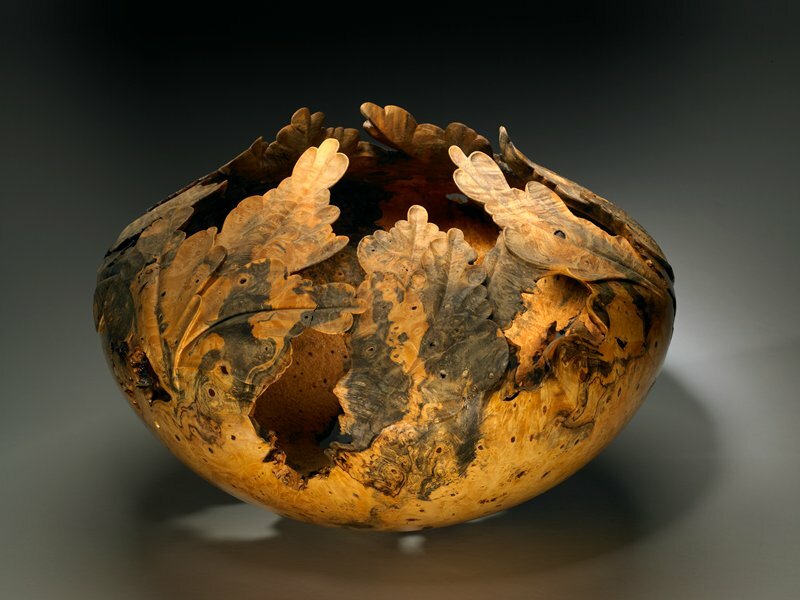 Fleming, known for his carving skills, demonstrates his abilities by transforming a humble specimen of buckeye burl, an irregular growth with inherent cracks and openings, into an exceptionally large and yet graceful vessel that incorporates those imperfections. Metamorphosis references Fleming's transformation of the burl through the articulated leaves at the vessel's rim, as well as the swirling honey and dark brown shades of the wood, which seem agitated and in the process of shifting and changing.